The Technics SL-QL1 features quartz phase-locked control with integral rotor/platter direct-drive motor. The dynamically balanced, linear tracking tonearm uses an optoelectronic sensor and microcomputer control for fully automatic operation. The cabinet is made from die-cast aluminium with a TNRC non resonant base. Automatic functions of the SL-QL1 include record speed selection, two-speed forward and reverse search, cueing with mute and repeat. The turntable comes fitted with a high quality, plug-in moving magnet cartridge with pure boron pipe cantilever. Technics SL-QL1 / SLQL1 owners manual, service manuals and schematics are for reference only and the Vinyl Engine bears no responsibility for errors or other inaccuracies. The PDF files are provided under strict licence. Reproduction without prior permission or for financial gain is strictly prohibited. This website is not affiliated with or sponsored by Technics. Posted Thu, 04/15/2010 - 16:41 by houtworm. I really need a service manual for the SL-QL1. Is there anyone that wants to share it with me? Posted Sun, 01/31/2010 - 22:18 by turntable86. I am the original owner and it has been sitting in a cabinet but not played. When I turn it on it seems to work for about 10-15 seconds then the needle just stays in place and sounds like it is skipping. It does it on different albums. I can not move the needle inward and the tonearm just stays put. I saw someone post they used WD40. Any suggestions? Posted Sun, 07/24/2011 - 03:58 by baum r vasler. If anyone is still reading this...I had the same problem with a unit that sat for a long time. I fixed the problem on mine completely by removing the plastic cover that hides all of the tonearm assembly inner workings. Then I replaced the small belt that connects the tonearm drive motor to the tonearm drive assembly pulley. The problem seemed to originate with the tendency of the stiff, dry old belt to conform in its static state to the shape of the small and large pulleys. If it had any flexibility left, it would work for a bit but eventually get hung up as the motor was just not strong enough to move the misshaped and inflexible belt around its circuit. I would also do a quick clean and lube of the moving parts that the motor drives just to ease the work load on the motor. A quick test that initially told me that this was the problem, by the way, was done by stretching the belt around a torch/flashlight handle over night to get it more flexible (although it might break doing this if it is too old and dry), and then, whilst installing, turn the belt "inside-out" so that it's seated in the pulleys in a way that counters its previous irregular shaped orientation. I marked little dots on the countered face to check that it remained in the new orientation. Posted Tue, 07/26/2011 - 22:55 by GPJeff. I just bought one, this info will be good to know. Posted Sat, 03/13/2010 - 23:41 by Beninski. Hi. I purchased a Technics sl-10 at a thrift store for $25. When I bought it, the tone arm would not move even though everything else seemed to work. This deck is also linear tracking and is one of THE BEST Technics ever built. They go for as much as $400 on Ebay. I opened the case and found the tone arm had it's own motor which had seized up as the pulley was very stiff when trying to turn by hand. I continued to manipulate by hand until it started to loosen up. Then I applied WD 40 to the spindle going into the motor and it really loosened up. I put it back together and it has been running great for the last 2 years. I am no technician and WD 40 is probably not the best thing to use but it worked for me. If you want to know anything else, let me know. Good luck with your machine. Posted Sat, 02/06/2010 - 22:56 by toxxland. I have bought a SL-QL1 and had the same problem. I removed the cartridge then arm motor cover. I turn the small wheel to make move the big wheel and the arm. After that I have put the power to test and that works!!! I put back the cartridge and the cover and that not working anymore with a strange sound from the motor! !, so I remove the cover again and test. Surprise that works and no strange sound! I'll try tomorrow to put back the cover well. Posted Sun, 01/31/2010 - 23:30 by fscl. 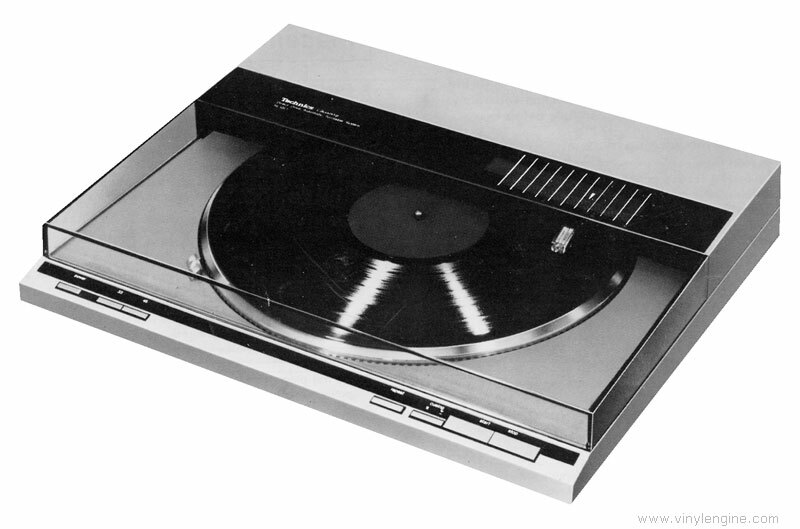 Technics linear turntables are very similar in operation and you can use the SL-QL5 Service Manual for reference. Most likely you will have to remove the old grease and refresh and re-lube the tonearm drive system. Read this thread for additional guidance. Music is Everything....Except Predictable....WFUV Fan. Posted Thu, 03/10/2011 - 22:56 by rick4898. I decided to pull out the old SL-QL1 after twenty years, and lo & behold: the tone arm was frozen in place. I found this site, and did a few things mentioned on this thread. It's now playing my beloved Beatles albums again. Thanks! Posted Sat, 01/02/2010 - 15:14 by cejixman. I had the same with my newly acquired SL QL1. Mind you, I had taken out the needle to check it, and did not mount it properly. A second time, I had not turned back a lock-trangle (look for it in the manual). After that it worked fine! Hope this helps. Posted Mon, 09/07/2009 - 00:19 by fscl. 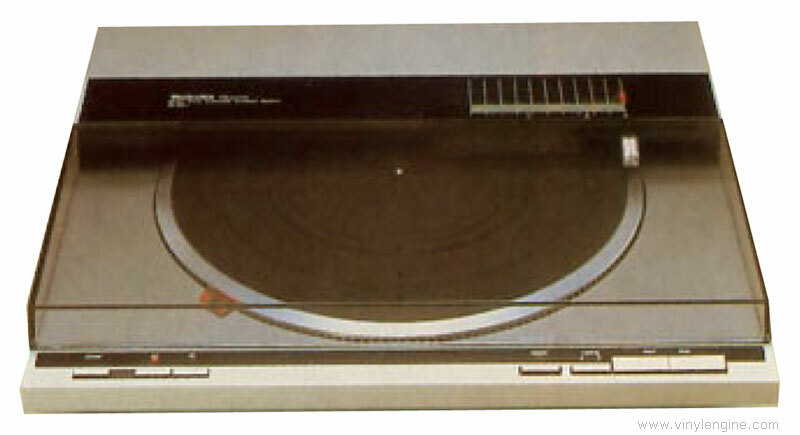 The SL-QL15 is essentially based on this turntable's footprint. Automatic programmed play principle of operation is that of the SL-6 and / or SL-15. Though the SL-QL15's materials of construction is less robust, it is still capable of good sound. Posted Fri, 11/27/2009 - 03:35 by electronchaser. I was given an SL-QL1 today. After spending an hour gently cleaning years of storage crud off it, I pluged it in, put a record on the turntable. The turntable spun, the tone arm moved to and went down onto the grooves. No sound. I'm guessing it has something to do with the mute circuit. Any ideas? Posted Thu, 12/10/2009 - 15:13 by gortonandy. Did you hear two clicks when the tonearm lowered, the first is a loud click - the solenoid that pushes the arm down, and the secod faint click is the mute solenoid. If so the mute maybe OK. Sometimes the cartridge pins get corroded so you could take out the cart and spray wd or alcohol in the holes.